There are good reasons why Double Eyelid Blepharoplasty is vastly becoming a popular aesthetics surgery in the country. Blepharoplasty, an eyelid lift, and enhancement, is well designed to restore a more youthful appearance around the eyes. 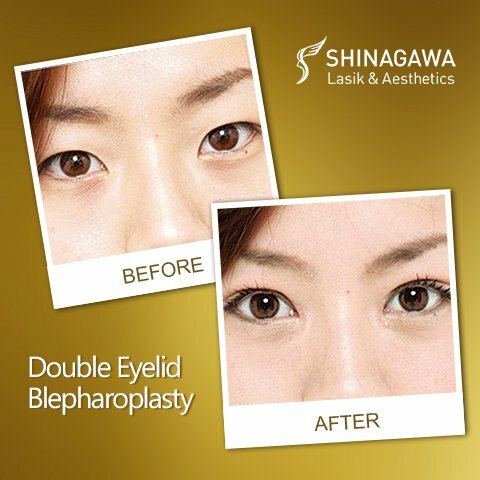 At the same time, a Double Eyelid Blepharoplasty is a specialized form of Blepharoplasty wherein the procedure creates and enhances a crease in the upper eyelid. This results in a rounder and brighter overall appearance of the eyes. Double Eyelid Blepharoplasty is a hit in Asia since generally, upper eyelid crease is commonly missing in most Asians. The created fold enhances the eyes, making it more expressive and attractive. The skin around the eye will be reshaped with the purpose of creating an eyelid with a crease. During the procedure, part of the skin and fat in the upper eyelid is removed for the eyes to appear rounder. Several methods (full, partial and no incision) are used in creating the double eyelid and it usually depends on the preference of a particular surgeon. How Can Double Eyelid Blepharoplasty Do Wonders? The treatment can instantly make a person more attractive and desirable given that the eyes are some of the most expressive parts of our body. For women, having double eyelids also means having versatility in applying makeup and eyeshadows. Also, in the process, patients will have the treat of removing tired and puffy look associated with having a fatty upper eyelid. The treatment is done for approximately more than one hour, including pre-operative sedation and post-operative recovery. Generally, complete recovery from eyelid blepharoplasty takes several weeks. Within a week after the treatment, the stitches will then be removed. The swelling and redness post-procedure are bound to eventually fade in a few weeks’ time. Our Medical Experts are well-trained in conducting this amazing treatment and they will be happy to answer all your queries on the procedure during the consultation to assess if you are a good candidate for this treatment. To know if you’re a fit for it, book a FREE consultation through our Patient Care Lines: (+632) 368 5238 | (+63) 917 862 7454 | (+63) 921 217 0517.